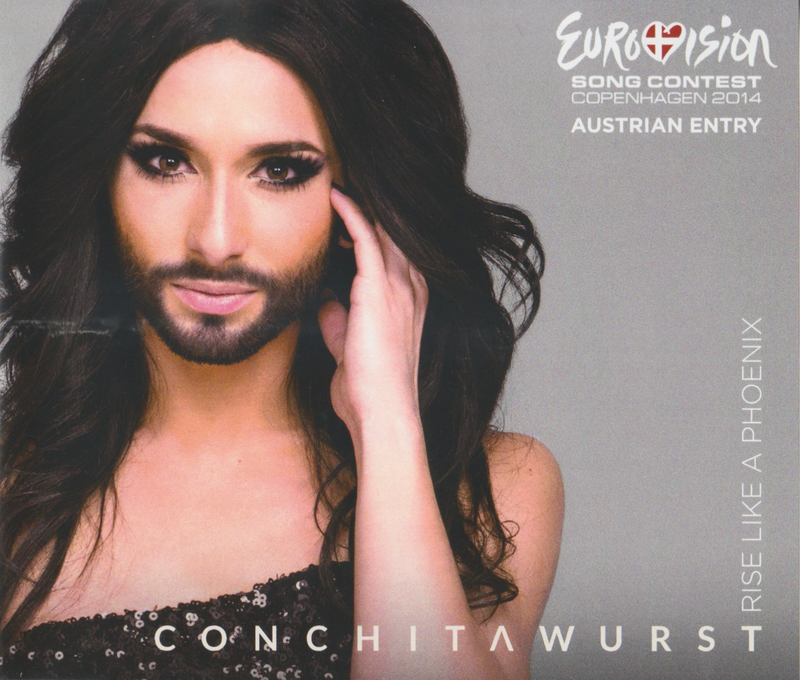 Conchita Wurst is the winner of the 59th Eurovision Song Contest. It's been a while, almost 50 years, but Austria clocked up their 2nd Eurovision victory with the much talked about song Rise Like A Phoenix by Conchita Wurst. Since Conchita is the winner, her page has moved up. Please go here at the Copenhagen Collection to find out all about Conchita Wurst and the releases, versions, charts and everything else about Rise Like A Phoenix. Conchita Wurst (Thomas Neuwirth to his mum) was chosen to represent Austria in the Copenhagen contest already in November 2013. The song Rise Like A Phoenix was presented on March 18 in a morning radio show at Hitradio Ö3. RLAP is written by Charly Mason, Joey Patulka, Ali (Alexander) Zuckowski and Julian Maas. Watch the video here. The song is released on iTunes and other digital sources. A promo cds is issued including the Eurovision version and instrumental. The disc has the Eurovision version and karaoke.